Miami is uniquely positioned to become the EdTech capital of the world! Join us to celebrate and meet South Florida's EdTechers! 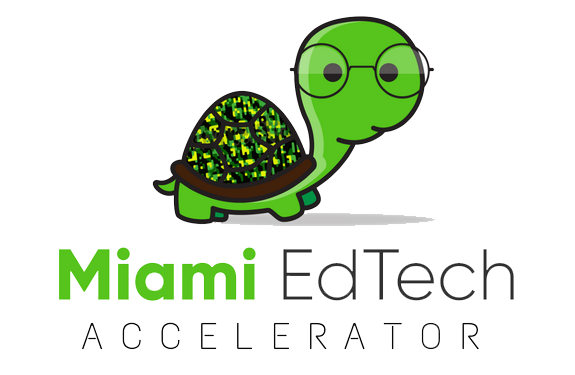 We're uniting the EdTech Community in Miami (and beyond)! We're passionate about education, technology, and making a difference. Join us on the journey! The eMerge Conference 2018 and Miami as a Global Tech Hub. How TheVentureCity supports startups working in disruptive technology and international potential. Expansion of the company in Miami and democratizing education. Small bite-sized pieces of course content. Curate your own collection of educational materials for teams, communities and individuals. Shareable little chunks of educational content tradable among teachers. A Training Management System engineered to expedite social, academic, and workplace learning. videoRehearser leverages neuro-education and social cognition to facilitate individual performance transformation. Blended learning resources & student engagement tools. Genius Plaza ignites the genius in every child using technology to bring the best quality education to communities around the world, especially the most undeserved. Advocating for mental illness in education. Klickengage's mission is to ensure that children in low-income communities have equal opportunity to succeed academically by providing researched and responsive school-based health services. Helps students plan for college and careers. A .edu tech tool targeting systemic gaps between students and guidance counselors by providing students access to information and guidance to aid in academic success. The Fitz Solution provides teachers with supplemental income through tutoring (Fitzing) and Consulting opportunities. Their mission is to provide academic, social skills development and systems for students to become independent thinkers and future leaders. Free College prep game and private tutoring marketplace. Join us for networking and meet some of the EdTech startups here in Miami! There will be tables set up for you to learn about their specific product and learn about how they are changing and contributing to the EdTech landscape. There will be giveaways as well! Light snacks and refreshments provided. Miami EdTech Accelerator Cohort 1 alumni's and MyStudentBlueprint founders Mohamed Kamara and Eric Steen will give opening remarks. We'll have various EdTech leaders speak about their journey and answer questions from the guests. We'll explore pricing models, customer outreach, and share tips on how to collaborate. We encourage guests to network and will set up a way to organize people from different backgrounds - tech, education, business, in order to facilitate focused networking and introductions. Join us for a launch party for Miami EdTech, with good music, drinks, BBQ buffet, lots of free stuff, and strangers that might become the new you.